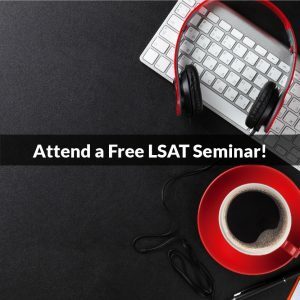 You are here: Home / LSAT Prep / The Digital LSAT is Coming! 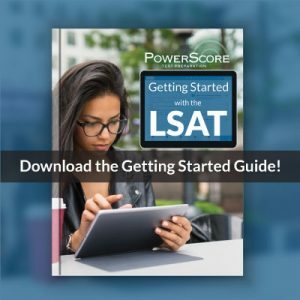 The Digital LSAT is Coming! A few years ago I wrote a two-part article on “The Future of the LSAT,” in which I examined the exam’s history (Part 1) and speculated on what I believe could represent its future (Part 2). “Just as LSAC is mindful of its test taking audience, so too is it aware of the other exams catering to its demographic. In particular the GRE, GMAT, and, to a lesser extent, MCAT. And what do those three tests have in common aside from an LSAT-consistent audience (age, background, and education-wise at least)? They’re all taken on a computer. The LSAT, conspicuously, is not. Digital testing comes with a host of advantages that pencil-and-paper exams simply can’t offer. They tend to be more straightforward to administer since there’s no distribution and collection (not to mention printing and shipping) of materials, no proctors to hire and train, no facilities to find and oversee, and all the other tedious tasks of analog testing. They’re extremely secure, since each tester has access only to the visuals on-screen, rather than hard copy content. They can be scored quickly and easily, and virtually incontestably, right in the testing room and immediately upon completion. And perhaps most compelling of all they’re almost ludicrously profitable: not only do they require none of the support systems of a test like the LSAT—think of just the multiple proctors passing out and collecting materials, calling time, monitoring potential cheats, etc—but because there’s no need for those systems, centers can offer exam opportunities essentially every day, year-round. In short, computer-based tests are an attractive prospect. Of course, if you’re giving this much thought you’ve no doubt already enumerated a handful of differences between an LSAT and, say, a GRE that make the LSAT a greater challenge to offer and administer digitally in the same fashion. Most notably the fact that GREs and GMATs, and even the slightly less accessible MCAT, can be made available so frequently without fear of widespread content leakage because they test easily-altered concepts such as math and grammar. You can trust you’ll see the Pythagorean Theorem tested on each, but the question permutations testing it can number in the hundreds without fear of distribution or duplication. A question bank of tens of thousands exists for Math and ensures that individual test takers are each encountering a sufficiently unique exam. Not so with the LSAT. Consider: in a single year’s worth of Logic Games only twelve are made public, four from each of the three released tests. Twelve! Can you imagine a sample that limited being used for a test given weekly? By the second month people would walk in with every conceivable LSAT memorized, essentially invalidating the whole enterprise. Well that day has come: On May 20th, 2017, LSAC is conducting “The Digital LSAT Pilot Test,” where, in select cities, a limited group of applicants will sit for a free-of-charge, digital-tablet-based LSAT. A brief tutorial/interface familiarization period will be provided at the beginning of the pilot testing session, but no other introductory information will be provided prior to test day. The tablet will be a standard Android device running proprietary LSAC software, allowing control by both finger-touch and a stylus for the multiple choice portions and a keyboard for the Writing. No previews of the visuals have been made available as of this writing, but I suspect the test makers will do all they can to replicate the look of a regular LSAT. Whether that means multiple questions/screen layouts in much the same way that you can view the full scope of a logic game or passage set or pair of pages for LR, or whether it will be restricted to a single question per page remains to be seen. My guess is there will be a zoom feature to change from two-page to single-page to single-item views. A host of accommodations will be on offer as well. For a full list, see the FAQs on accommodations. Final scores will not be calculated for this initial pilot test. There will, however, be some results. Approximately six weeks after testing, participants will receive a detailed performance report listing the number of questions answered correctly for each section type, as well as the number answered correctly in each of several “skill areas” within those types. A brief description of those skill areas will also be provided. This is both interesting and a little disappointing! Disappointing because one huge advantage to digital testing over analog is the ability to know the outcome immediately. Instead, test takers have to wait twice as long as is normal for a regular LSAT to see how they did. Interesting, though, since score reports traditionally contain only raw and scaled scores (except for February, which only has a scaled score), and nothing indicating performance relative to various “skills,” whatever they may be (LSAC has given no clues as to what these skill areas might include). So this may well provide some insight into the primary abilities they believe are central to the LSAT, or at least those they mean to target with the test’s content. Unsurprisingly, as this is a trial run, no results will appear on participants’ LSAC accounts or be sent to law schools. The answers to both are somewhat opaque, but I think I can still unmuddy the waters a bit. In short, it was always just a matter of time. What it will mean for test takers is less certain. For now, nothing. The paper-based LSAT isn’t going anywhere any time soon, and will almost surely be offered alongside the Digital LSAT for a time once a computer-based version becomes official. Even the GRE, which has been primarily computerized since the mid-90s, continues to offer a paper-based exam option several times a year in most parts of the world. So it’s a safe bet that, while the paper test may lose its exclusivity in due time, it won’t go extinct immediately. So if you’re reading this in the 2000-teens keep your pencils sharpened. Longer-term it’s harder to say. If a well-administered, well-received tablet LSAT becomes reality in the next several years there are some compelling reasons (see above) to think LSAC will push hard to eventually make it a solo act. But that’s a long ways off, like 2-3+ years in my estimation. So realistically my best guess is that we’ll see this initial, limited testing phase followed by an expanded round 2 (and possibly 3…4…) in the next year or so, and then a year or two beyond that, with sufficient data in-hand and feedback considered, a large-scale rollout of legitimized digital testing. Law schools may have their work cut out for them in evaluating paper versus digital applicants (if the formats prove sufficiently disparate), but the forecast seems abundantly clear: within 2-4 years a computerized LSAT will be an official alternative to the venerable but aging exam we’ve come to know, and could very well replace it altogether. Lastly, since so much of this (administratively at least) remains necessarily speculative until we have feedback from the 5/20 participants, I plan to write a follow-up piece once first-hand reports begin to trickle in. That’s unlikely to do much to clarify LSAC’s intentions or timeline, but it will allow greater clarity on the mechanics of the test taking experience. Keep an eye out. 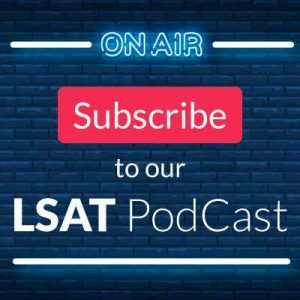 Thoughts or questions on the LSAT belatedly joining the 21st century? Let us know below, or get in touch at 800-545-1705 or by email at lsat@powerscore.com.